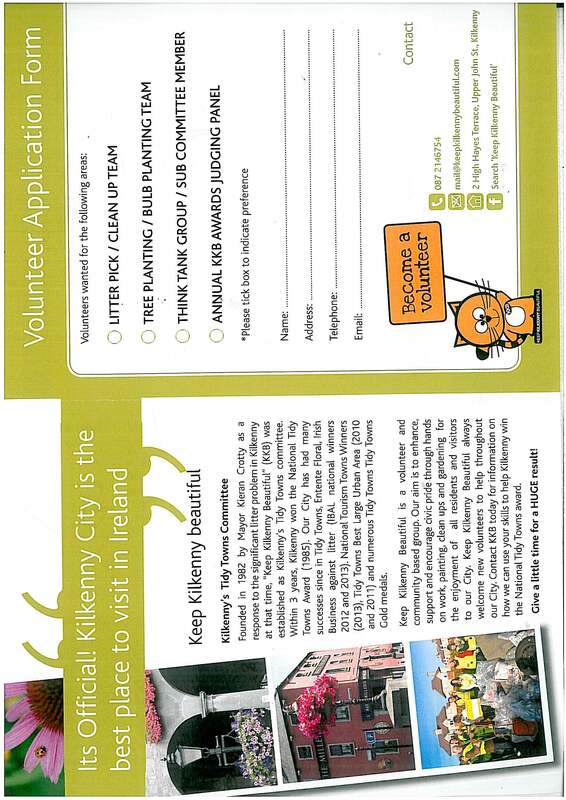 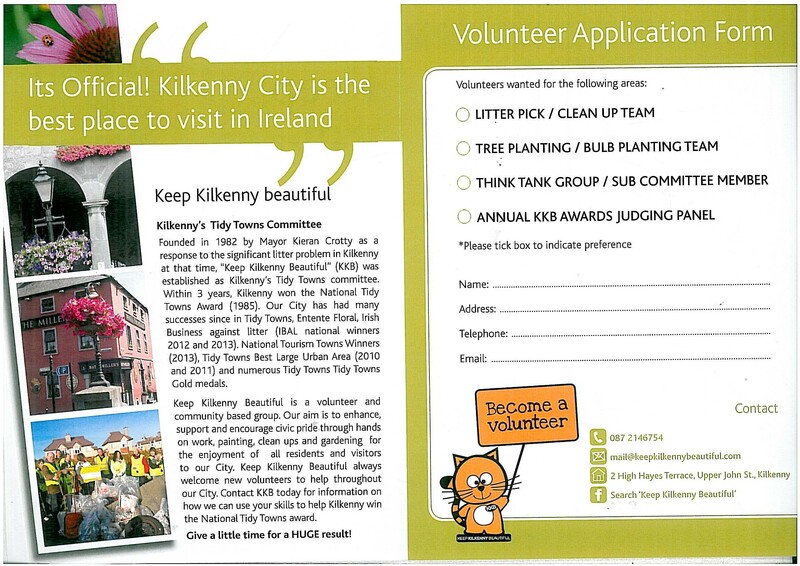 Why not volunteer to help in the Tidy towns movement in Kilkenny City! 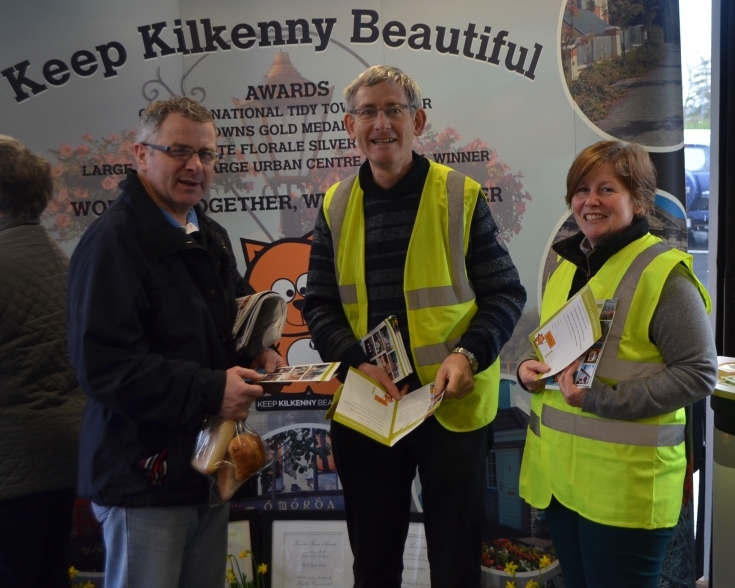 KKB members were recently at Supervalue Loughboy to display recent winning medals and to show the success of volunteer work through out our City. 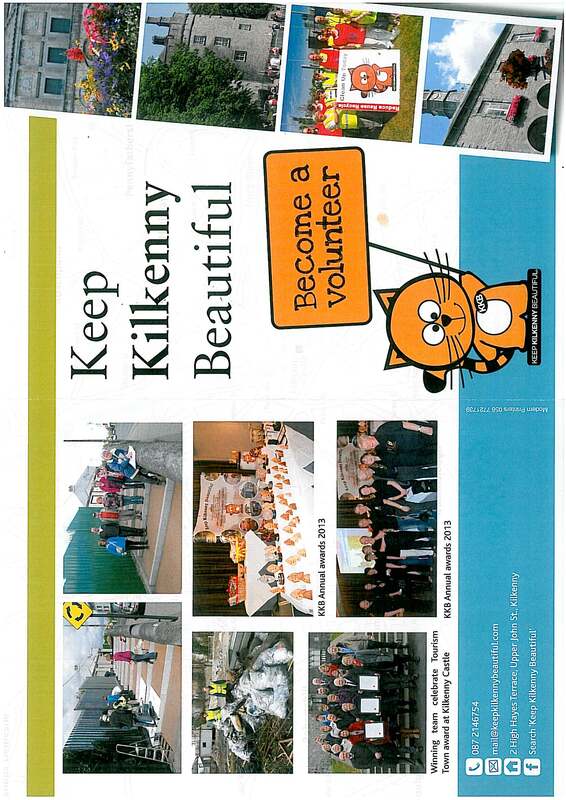 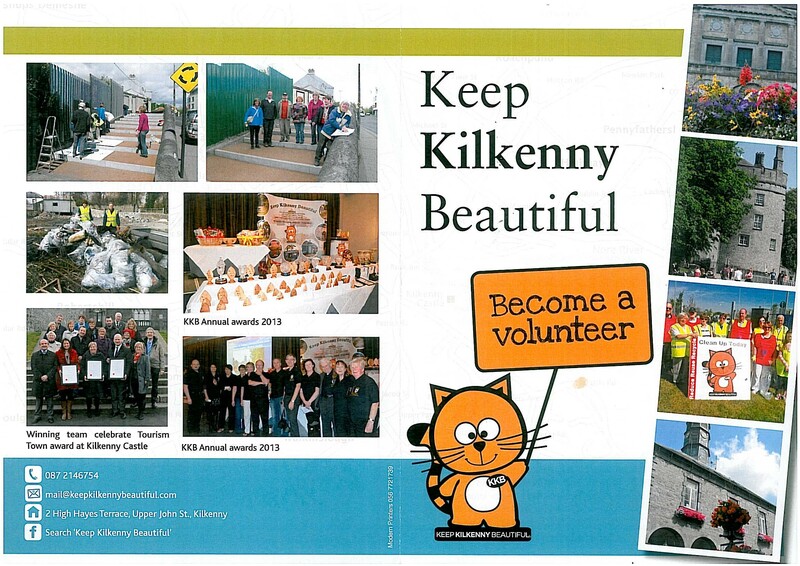 Leaflets about the work of Keep Kilkenny Beautiful were distributed. 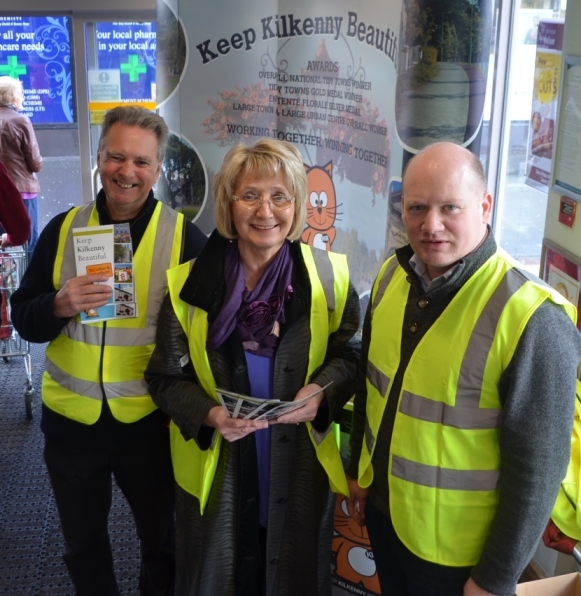 The official Launch of the National Spring Clean campaign took place at the Loughboy recycling bottle bank in Kilkenny. 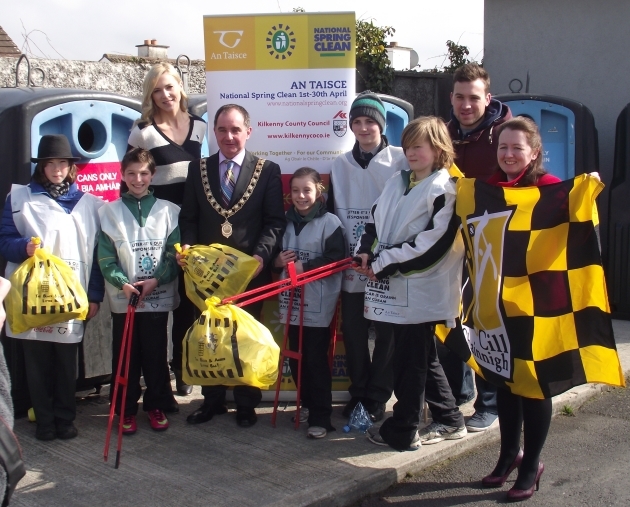 New black and amber litter clean up bags have also been produced for 2013.